RNLI volunteers launched to a 30ft yacht over the weekend after it lost its mast seven miles off the coast of south Wales. 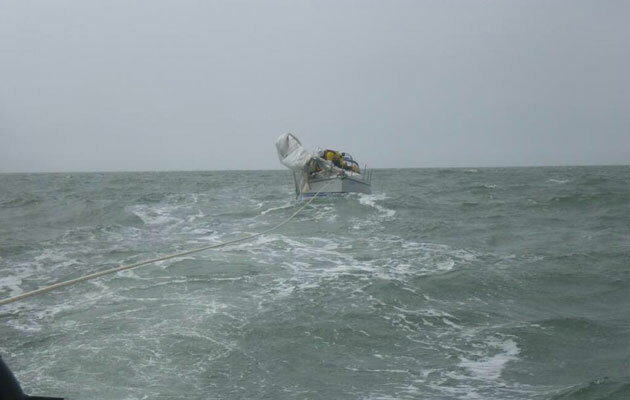 Porthcawl lifeboat went to the aid of the dismasted yacht shortly after the incident on Sunday. 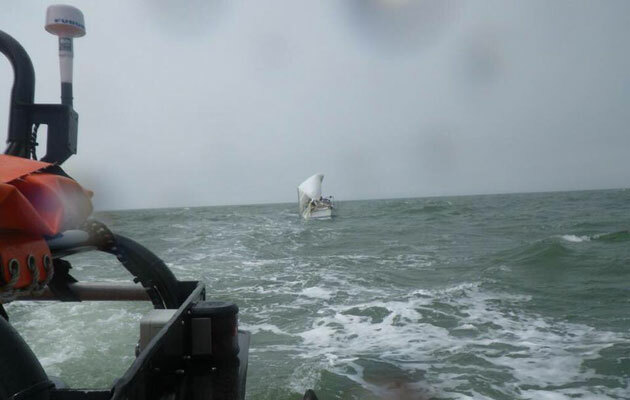 A pair of sailors were aboard the stricken vessel when RNLI crewmen arrived on scene, with the mast having completely snapped at the base and dragging in the water. Two volunteers were placed onboard the yacht to secure the mast and ensure the safety of the crew before the vessel was taken under two by the Atlantic 85 lifeboat. Barry Dock all-weather lifeboat later took over the tow as the yacht was taken safely back to shore. Porthcawl RNLI Lifeboat operations manager Phillip Missen said: “This was a dangerous rescue, as with any demasted yacht, trying to get a lifeboat close to the yacht is tricky. 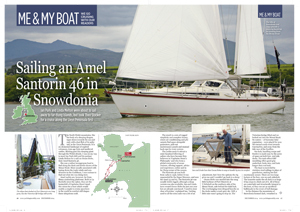 “Simon used his training and expertise to position the lifeboat alongside the yacht safely, avoiding all the ropes, wires and the mast itself in the water.